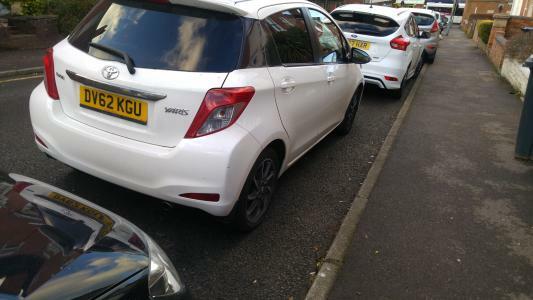 White Toyota Yaris, manufactured in 2012, first registered on 1 December 2012. Cylinder capacity: 1329cc, CO2 emissions: 121 g/km. As of 22 October 2016 this vehicle had done 21,472 miles. Inconsiderate parking. No thought for other road users.